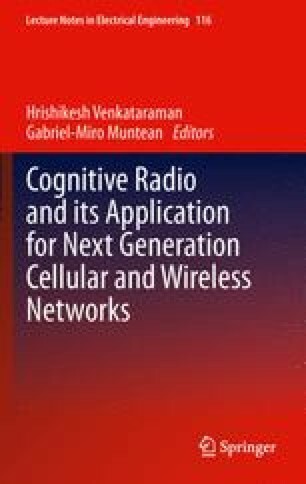 A cognitive radio device must be able to discover and recognize wireless networks eventually present in the surrounding environment. This chapter presents a recognition method based on MAC sub-layer features. Based on the fact that every wireless technology has its own specific MAC sub-layer behaviour, as defined by the technology Standard, network recognition can be reached by exploiting this particular behaviour. From the packet exchange pattern, peculiar of a single technology, MAC features can be extracted, and later they can be used for automatic recognition. The advantage of these “high-level” features, instead of physical ones, resides in the simplicity of the method: only a simple energy detector and low-complexity algorithms are required. In this chapter automatic recognition based on MAC features is applied at three cases of wireless networks operating in the ISM 2.4 GHz band: Bluetooth, Wi-Fi and ZigBee. Furthermore, this idea is extended to underlay networks such as Ultra Wide Band networks. A study-case is also presented that provides an illustration of automatic classification between Wi-Fi and Bluetooth networks.